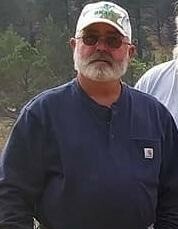 David Wayne Paustian, age 59, passed away on February 10, 2019 at his home in Baker City. David was born on June 29, 1959 in Prairie City, Oregon. When he was less than a year old the family moved to Unity, Oregon and from there they moved to Izee, Oregon where they lived for the next five years. Then his dad's job with Ellingson Lumber Company had the family moving to Baker where David remained for the rest of his childhood attending Baker schools. As a teenager, David worked summers in Prairie City at the Oxbow Ranch, and as a young adult he went to work at Ellingson Saw Mill. David got into welding/fabricating and remained doing that work for the rest of his life. This line of work took him away from Baker, traveling as far as Kentucky and Alabama. 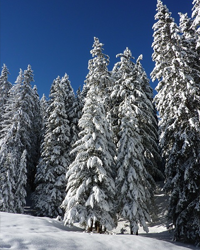 He made his home in northern Idaho in the Kamiah and Weippe areas. He enjoyed the work he did and was especially proud of the work he did helping build a mill in Weippe from the ground up. In 2017 he moved back to Baker City to be closer to family and started working for Harney Rock & Paving where he remained until his death. He liked his work and made many life time friends through his work. David enjoyed spending time in the outdoors with his dog, Bo, who was his constant companion. He had an annual campout with his dad, brothers Gary and Lee and he even travelled from Kentucky to go camping and four wheeling. David is survived by his dad, Gordon Paustian of Baker City, Oregon; brother-in-law, Lee Fuge of Canby, Oregon; sister, Carrol Titus and husband Bob of Prairie City, Oregon; sister, Tammy Zemmer of Baker City, Oregon; brother, Gary Paustian and wife Sherri of Nampa, Idaho; numerous nieces, nephews, great nieces and nephews, aunts, uncles, and cousins, and his four legged family member Bo. He was preceded in death by his mom, Fay Paustian and oldest sister, Rene' Fuge. Memorial contributions in David's memory can be made to the charity of one’s choice through Gray’s West & Company Pioneer Chapel at 1500 Dewey Avenue, Baker City, Oregon 97814.